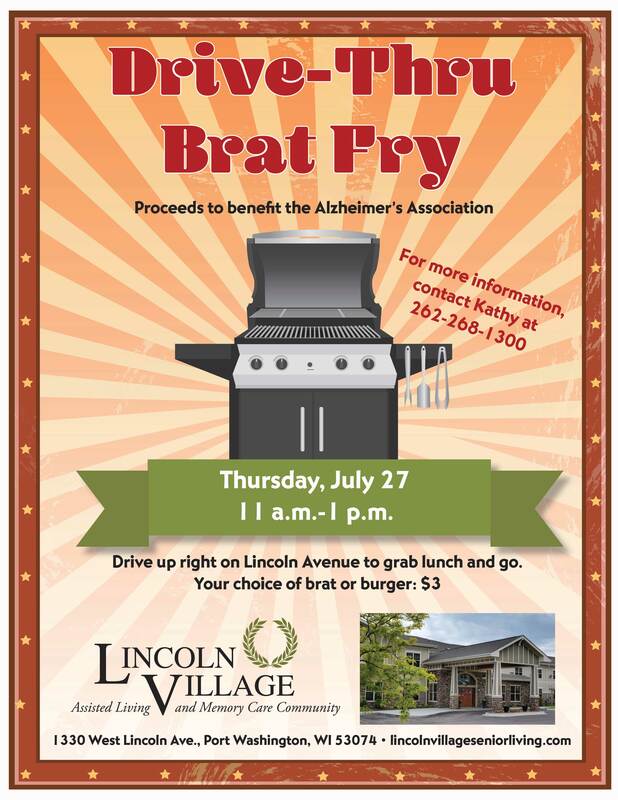 Drive up on Lincoln Avenue on Thursday, July 27, between 11 a.m. and 1 p.m. to grab lunch and go. Your choice of a brat or burger, only $3. Proceeds benefit the Alzheimer’s Association.